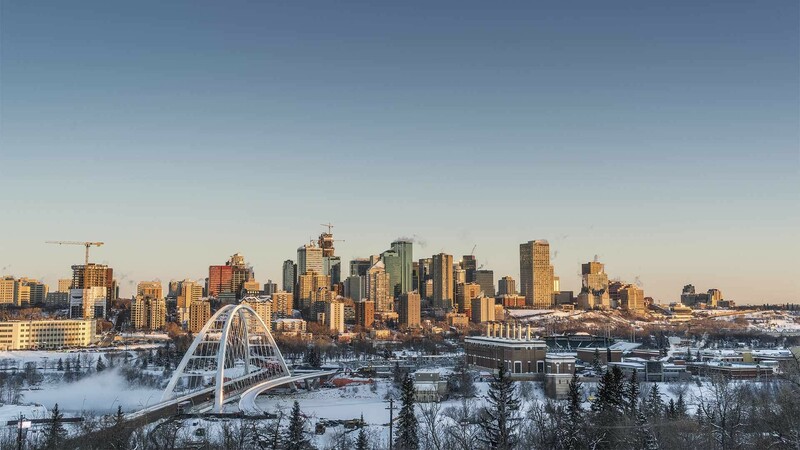 There's something exciting about that time when the season begins to change and the temperature finally drops – and nowhere more so than in the city of Edmonton in the Canadian province of Alberta. You could say that winter is when Edmonton is at its best. The city plays host to several bustling festivals throughout the season, and you can keep warm by scoffing loads of the city's excellent food. Then, of course, the perfect powder snow of Jasper National Park is in easy reach and the Canadian Rockies are only a short trip away. But with so much on offer, where do you start? We'd begin by getting our chops around Edmonton's dining scene. 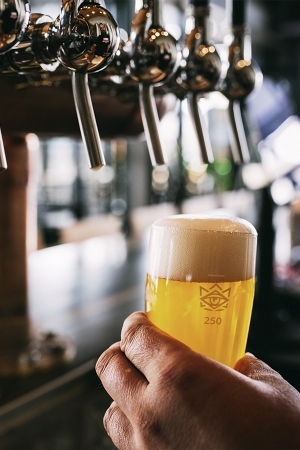 For starters, the city is home to some of Alberta's hottest craft beer taprooms, as well as hyper-local bistros that serve the region's produce and hipster bakeries that reflect Edmonton's young, forward-thinking population. If you've got a sweet tooth, you can't miss the Duchess Bakeshop – ranked as one of Buzzfeed's top bakeries in the world – where you'll be able to sample everything from the lightest, flakiest almond croissants to decadent, beautifully presented tarts. But if you're after something more savoury, make sure you head to Biera, which puts a new twist on the trendy brewpub by serving modern Prairie- and European-influenced sharing plates paired with beer brewed locally by Blind Enthusiasm. 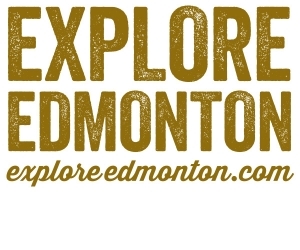 In Edmonton, winter is festival season, with plenty of events dedicated to celebrating the colder weather and all the brilliant activities it brings. There's Luminaria, which transforms the University of Alberta's Botanic Gardens into a peaceful oasis with candlelit pathways, hot apple cider, acapella singers and glittering ice sculptures. Then go for a nighttime adventure during the city's Flying Canoë Volant festival, which will turn Edmonton's French Quarter and the Mill Creek Ravine into a magical, fairytale-like setting with light installations, storytelling and music.Elsewhere, the Boardwalk Ice on Whyte festival is a celebration of winter in all its forms using ice and art. 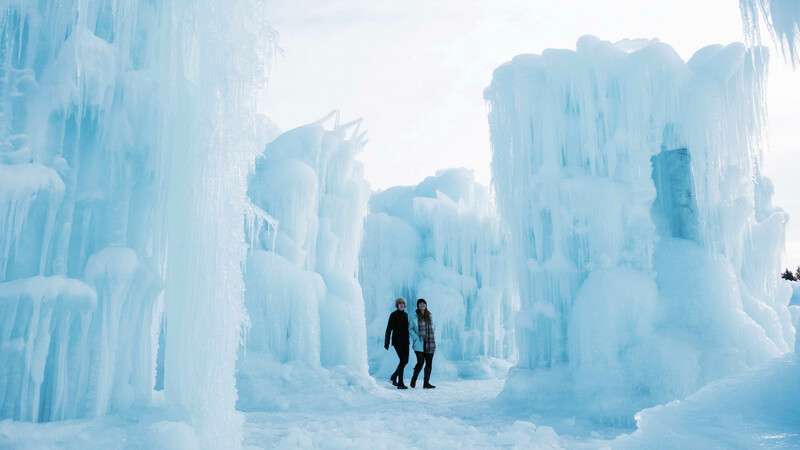 96,000 pounds of ice is dumped – intentionally – for the week-long festivities, so you can learn how to carve ice before heading to the ice bar. And then, of course, Edmonton sits cheek by jowl with the stunning landscapes of Jasper National Park, with its crisp blue skies, rolling hills, glacial lakes and white-capped mountain ranges. The largest national park in the Canadian Rockies and part of a Unesco World Heritage Site, Jasper National Park is the place to soak up pure, unadulterated natural beauty. Here, you can take on a number of short ski touring, alpine ski touring and ski mountaineering day trips, or up the ante with multi-day glacial traverses. There are other activities, too, like winter walking and fat biking, snow shoeing, and ice skating on the many lakes and rivers. But you don't have to leave the city to make the most out of the natural landscapes on offer. Edmonton River Valley is the largest stretch of urban parkland in North America, clocking in at 22 times the size of New York's Central Park. In winter, it's the perfect place to snowshoe, cross-country ski and fat bike. In Edmonton, your winter adventure awaits.